Tiffany Chairs, with it’s added elegance is a growing trend in the wedding scene. They simply have a distinctively romantic, fancy and vintage aura to them. If you’re looking to spruce up your wedding, these chairs are a must get! 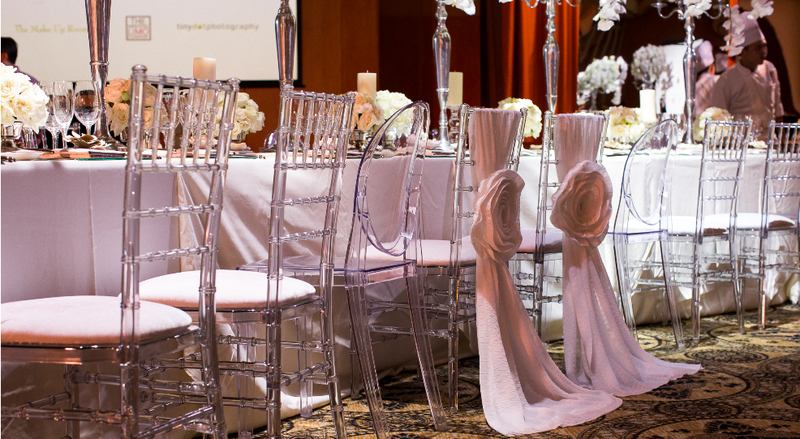 To enhance some of the chairs with VIP seating, you can easily tie ribbons or cloth to them. Wondering where to get Tiffany chairs from? Don’t fret, TWV has done up the research and here’s a compilation of the vendors you can approach to get these gorgeous tiffany chairs in Singapore. Understanding that every event is different, the highly skilled team of Tiffany Chairs Rental can guarantee that your celebration will be both successful and enjoyable. They have provided not only the best seating arrangement but also a stylish colour combination of chairs and tables to numerous events and weddings. Be it a grand function or an intimate party, their products and services will surely please all of your guests. Additionally, Tiffany Chairs Rental is also known for offering the most cushion colours so you can mix and match until you achieve the best fit for your theme. Their dedicated event and wedding planners can also do all the set up for you! With Tiffany Chairs Rental being one of the pioneers in the rental of Tiffany Chairs, your search for reliable and professional service is over. With guaranteed competitive prices, you can rent tiffany chairs from Yellowstone for $6/pc. They have done plenty of weddings at Masons, Chijmes, Fullerton and many more. What’s interesting is that under the same team, they also manage other brands like Tigerlilies & co. (wedding planning) and Plane and Bevel (props and favours). They also have photo booth services for your big day, so Yellowstone’s definitely worth your checking out! Transform your venue with the pixies! Apart from providing chairs, this capable team also does wedding planning, styling, props rental and floral services – a one stop indeed! Add that whimsical touch to your wedding. We recommend that if you’re holding a big scale wedding with more guests, do consider Tiffany Chairs as their pricing is reasonable for big events (as low as $5.50/pc). What’s best is that they have a wide range of colors for the chairs and cushions, such as Crystal Clear, Montana Gold, and Pure White. With their 3-D layout plans, you can preview and have a good visualization of how your actual day set up will look like. Apart from just Tiffany Chairs, Events Partner has a huge catalog of chairs, tables and set up related items for your wedding day. You’ll find almost anything and everything you need for your set up. Check out their catalog here. Specializing in event furnishing and planning, Chuan Lam Productions has an extensive inventory for you to choose from. 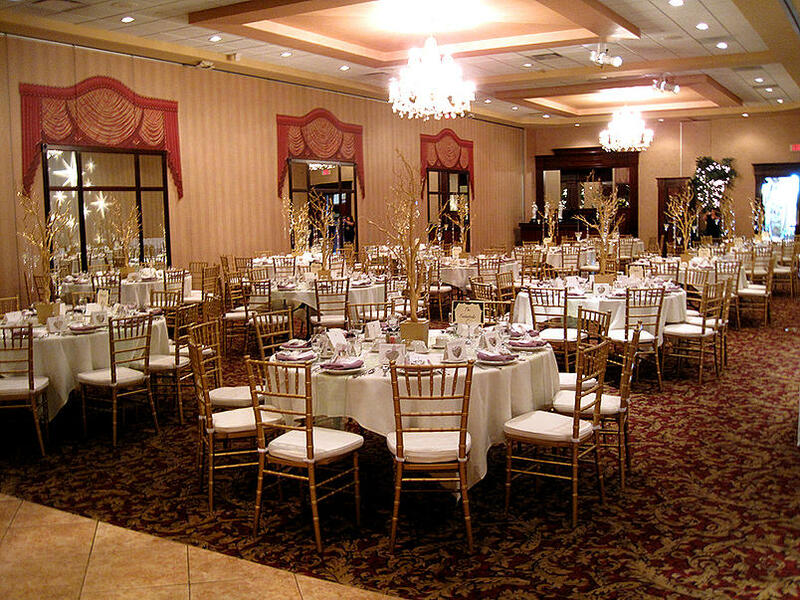 They pride themselves on their good maintenance and frequently updated catalog, so you have no worries when it comes to putting your grand event together. If you need help with styling or organizing, CLP can also provide their extensive services that will meet your every need. Nanyang Inc. has years of experience in setting up large-scale events with tentages, marques staging and lighting for both weddings and corporate events. Whether a small garden ceremony to a large scale beach wedding, your outdoor wedding dreams can come to live with Nanyang’s help and expertise. A simple chair provider with gold, sliver and black chairs. Match them with cream, black or brown cushions. Starting rate at $7/chair and $150 for delivery. Photo Credits: XOXO & Co.
Born to pursue perfection for wedding events, XOXO & Co has expanded their wedding planning services to provide you Tiffany Chairs as well! XOXO understands that no two weddings are the same, and aims to create work that makes couples feel special. Though this vendor doesn’t provide tiffany chairs, their alternatives will simply blow you away! If you’re looking at a more funky, artsy and modern theme, Kit & Kaboodle’s tasteful and quirkly furniture will do just the trick! Whether it’s for your styled shoot for photo booths, be sure to check out Kit & Kaboodle’s full range of furnishing to add that funk to your big day. Check out their full feature on The Wedding Scoop here. Hope that our guide on the Top 10 Places to Get Tiffany Chairs in Singapore can help you with your wedding set ups!